If you have a set of behaviours and beliefs you have a system by which your peopleÂ can deliver the brand experience you want. Is fastidious attention to detail essential in your architects practice to maintainÂ thatÂ 100% project accuracy score? No one likes making errors, but we go theÂ extra mile. Brave, pioneering thinking at your agency the norm, while just doing the job isnâ€™tÂ whatâ€™s expected? Your people need to know. Just as the examples above outline what people needÂ to do when they are in role, aÂ clear brand strategy sets the expectations of the type of people the company need.Â Recruitment gets easier when you know the brand experience you need to deliver. Brands have a story. They have a background, a wayÂ of doing things and things theyÂ do different that sets them apart. That story and those benefits work within your brand plan and should make their wayÂ into your messaging, headlines and About Us pages.Â Done right your brand plan is aÂ ready to go messaging plan that you can use in yourÂ marketing and promotion. People want to know about the brands they work with, buy or use. Just as buying anÂ Apple product means something to people, the choiceÂ of that mega accurateÂ architect or the ideas rich web agency says a lot about the choices you make to yourÂ boss. There are lots and lots of things you could be doing to promote your businessÂ beyond the must have web site. Planning activity beÂ comes far easier when you haveÂ a set of brand behaviours and goals to work with. A brand that believes in supporting entrepreneurialÂ spirit and British business finds itÂ easier to narrow down sponsorship opportunities. AÂ â€˜Best new start upâ€™ competitionÂ VS. a programme sponsorship at Ascot becomes a no brainer. That logo refresh, new website or brochure design all become far easier if your tone,Â look and brand personality have been nailed. Font selection, colours andÂ photographic styles can vary greatly to create veryÂ different impressions.An uber cool, contemporary or traditional businessÂ would all look very different. AÂ safe and dependable business will choose a look thatâ€™s very different from aÂ maverick or cutting edge firm. These are all descriptors that help tell a designerÂ which direction to take, andÂ invariably they will work in combination with otherÂ personality traits. Think of themÂ working like navigating dials, that set direction and can be switched up or down. Itâ€™sÂ amazing how many businesses or organisations undertake work without a clearÂ brand direction in mind. Nailing it really helps. If your business consistently delivers its brand plan across the multitude of ways itÂ touches customers, it will be remembered. Then it can be talked about. You getÂ referred.Keep delivering your brand promises and people comeÂ back for more. They keepÂ remembering you. They know what to expect and itâ€™sÂ one less thing to worry about,Â so you become an automatic choice. Youâ€™ve created a brand, one with commonly held, positive perceptions that peopleÂ buy in to. Bingo. Digital Marketing in 2015 – What Changed? WellÂ in 2015, the digital world was a year of change, progression and speeding forward. From Googleâ€™s mobile-friendly announcement that rocked the big hitters as well as the SMBs to the rise of web videos, this industry is not known for sitting still and last year was no exception. In 2015 our love-affair for â€˜information on the goâ€™ continued to rise. More and more people were on their phones Â looking for those how, what, where and when moments. Mobile data usage increased by 70% and if you’re aged between 16-24 then there is a pretty good chance you were in the 93% who had access to a mobile phone. * Mobiles increasingly play a huge part of our lives. These stats indicate how important digital marketing has become, whether it be sponsored posts on social media, Google AdWords, email marketing or mobile-optimised content, mobile in 2015 continued to form a highly important part of digital marketing for both big and small brands wanting to reach their consumers. 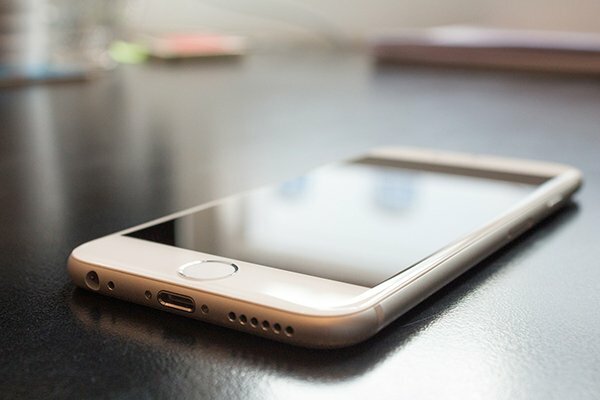 In February 2015, Google acknowledged the fact that we are loving mobile so along with announcing that searches on mobile devices had taken over those on computers in over 10 countries,they also announced that they would begin to use mobile-friendliness as a ranking factor. This change to search had Â a significant impact on search results from April 21st 2015 and boy did it have an affect, from the likes of Next to The AA, Googleâ€™s announcement rocked the rankings of many a business. Zooming on a website on your mobile phone is frustrating, hard to do and generally just a pain. The easy solution if you’re a consumer? Press back and go to the website which explicitly says its â€œmobile-friendlyâ€ in the Google results page. Because of the seamless way people expect to use their smartphones many will no longer accept anything less than a fully optimised site. So what should you do if your site is not up to scratch?Give your current web developer a slap on the wrist and make your site mobile friendly! Take a look at our Digital Health Check to see how your website is currently performing. Social Media has become an integral part of our online marketing strategies. 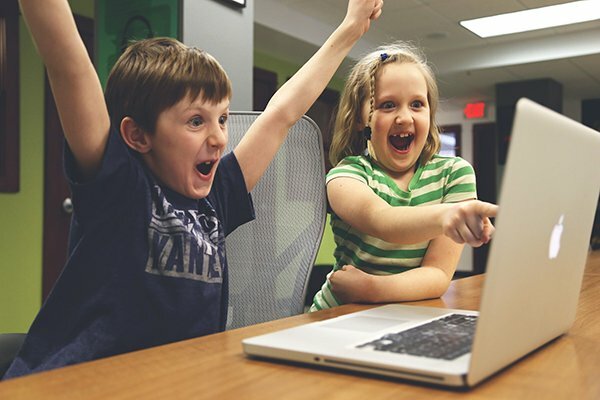 Gone are the days where you could SEO the hell out of your website and generate all of your sales and in are the days where a holistic marketing strategy encompasses Social Media, SEO, AdWords, email marketing, reviews and videos in order to utilise your marketing spend for so you get the most bang for your buck. Content is King… If I had Â£1 for every time I have heard someone say that then I would be able to afford a proper T-65 X-wing starship and not a chrome-plated knife block. Donâ€™t get me wrong, I love my knife block, but imagine the amounts of likes and shares I would get on Facebook with a video of me flying around in one of those bad-boys! Really though, content IS king and not just the written word , but visual, engaging and easy to digest content. Now, would you rather be reading this, or would you rather watch a video of me flying a T-65 x-wing starfighter and talking to you about the digital changes in 2015? I know, laser cannons win hands down. The play button is becoming a central call to action on websites, emails and social media channels. You can tell a short, memorable story to build trust in your consumers and dramatically increase your conversion rates. In 2015, videos became a more and more important as part of holistic marketing strategies and are predicted to rise in popularity this coming year. These days, almost all types of businesses can benefit from a well-produced video to showcase their business, products or services, with at least 64% of people more likely to buy a product or use a services having watched one. Here is a great example of a video we made for Simon Wright and his bespoke jewelleryÂ business.What other piece of content can do this? The Pitch is a UK wide small business competition that provides a platform for buzzing entrepreneurs and switched-on businessmen and women to pitch their ideas to a large audience and a panel of expert judges. The competition runs throughout the year with contestants taking part in road shows, bootcamps and the final. 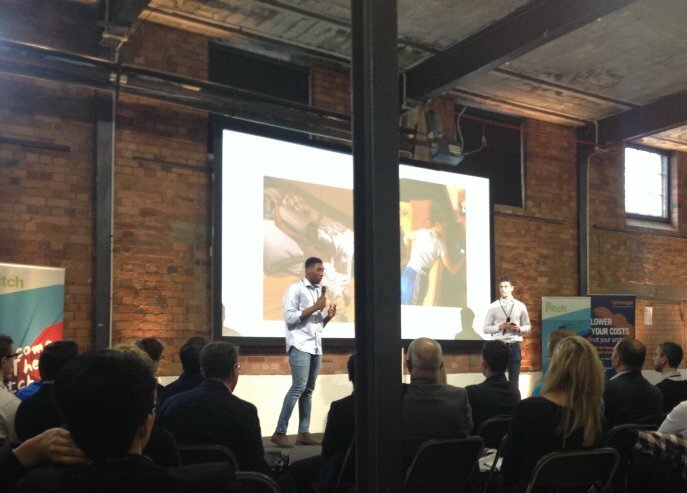 The Pitch is all about supporting and advising new businesses and entrepreneurs as they get up and running and this year, Creare were thrilled to be sponsoring the competition. Weâ€™ve written some cool content, taken our Digital Health Check on the road to some brilliant events all around the UK and met hundreds of inspiring entrepreneurs who have ideas that I really wish Iâ€™d thought of! Ever wondered how you go from a quiet person with a great idea to a confident person with a solid business pitch? Well for many people, Annette Kramer is the answer. Annette is a successful performance coach and business development professional with over 20 years experience across the globe and she definitely put her expertise into practice with The Pitch finalists! Getting up to do a presentation in front of people you know from work is one thing, but presentingÂ in front of 300 people youâ€™ve never met before and pitching your passion to them is undeniably tough. Firstly, to all of you pitchers who are reading this and did that so honourably last Thursday â€“ well done! Many of you have spent years of hard work, determination and pure grit to get to where you are and you are inspirational to us all. The pitches at the final covered such a wide range of businesses from Tamaraâ€™s Helper Bees, the safe and confidential service that provides help to new mothers with everything from cleaning, cooking to ironing and shopping, to Hire An Artist a business founded by Gareth Cravens that connects users with artists who can produced top spec artwork for them. We were also treated to pitches from the likes of Tea Guice, the company that makes green tea so tasty, Choosic, the music discovery app that brings you personalised music recommendations and fast playlist building and LawyerFair, the service that compares lawyers and costs for your businesses completely free of charge! The biggest thing that struck me at The Pitch Final 2015 was the fact that everyone was spurring each other on. Ultimately, there could only be one winner, but all the pitchers wanted each other to do well. From giving advice on pitches, to last minute partner practises before hitting the stage to loud cheering and pats-on-the-back after making it through your turn, the finalists were working as a team to help each person better themselves. The sense of community was evident. There were many worthy winners at the final but as with all competitions, there can only be one true champion. 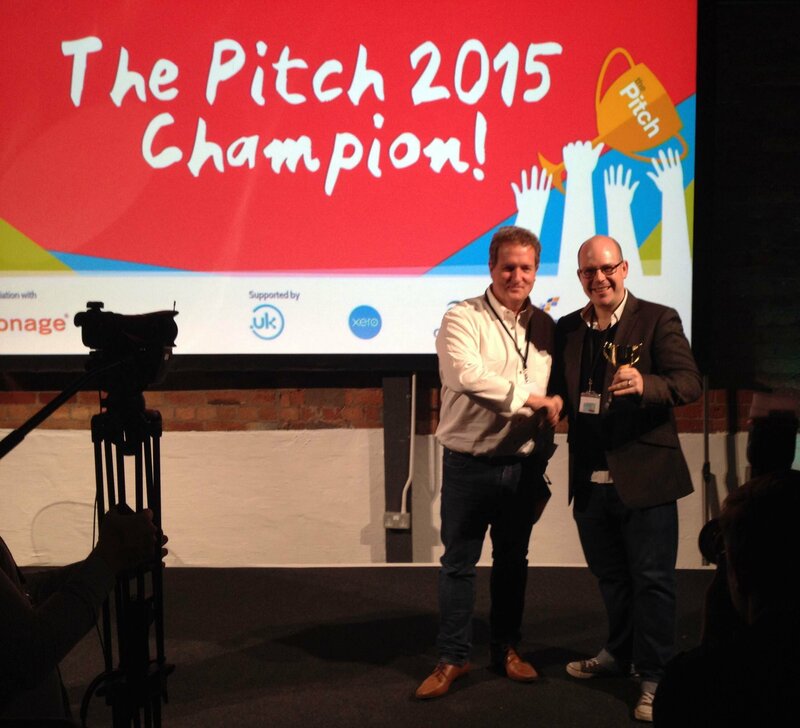 And so, at 5.30pm on Thursday 12th November, Resolver were crowned the winners of The Pitch 2015. Founder and CEO James Walker has built a company that guides people through the customer complaints process. With some big partnerships in the pipeline, James and his team have built an incredibly useful and sustainable platform that takes the frustration out of the complaints process for a consumer but it also helps businesses manage the complaints they receives. It works both ways for both parties. Watch Resolvers Brand Manager, Matt Rigbyâ€™s initial reaction after winning here. A huge well done to the Resolver team, weâ€™re excited to see how your business unfolds! Well done once again to all of The Pitch 2015 contestants, itâ€™s been a privilege to walk through the last 12 months with you. Remember that weâ€™re still writing content to help you develop your digital marketing strategy and if you didnâ€™t get chance to run through your Digital Health Check with us at one of the live events, you can take it here and then weâ€™d love to chat about it. If branding is about steering a collectively held positive perception, what do you need to think about to steer your brand on the right course? Itâ€™s time to get planning, thinking and looking objectively and creatively at your business! Get some of the basics clear. Who are you targeting, what do your customers need, what do they think, whatâ€™s on their agenda, what worries or delights them. Then take stock of your competitors. Have a good look. What are they doing well? What are they saying about themselves? This sets a backdrop by which you can make decisions about the heart of your brand and the fit it has with your customers. For instance, your customers could be tech or gadget mad. They love the latest thing. Or they could be massively into design and their home appearance. Aesthetic is everything. Beliefs: What you feel strongly about matters, so beliefs are a lynchpin of any brand. Theyâ€™ll direct the way things are done. Example: Take Dyson, they work relentlessly to innovate and bring the next great product â€“ they (or should I say Sir James?) believe youâ€™re only as good as youâ€™re last product. His people, ethos, ways or working, adverts and products all ooze â€˜innovation and inventionâ€™ in support of that belief. Just see what his foundation gives back all in the name of those two important words: innovation and invention. The result? People are persuaded to buy Dyson because (they believe) theyâ€™re getting a product thatâ€™s at the top of the innovation tree and are willing to pay for it. How your business behaves and acts influences all sorts of business decisions. How you pick up the phone, how you write, even what you put on the company van are all examples of how your brand behaviours can be directive. On a very simple level a relaxed brand answers the phone with â€˜Helloâ€™, while a more formal and serious business might want to start with â€˜Good afternoonâ€™. 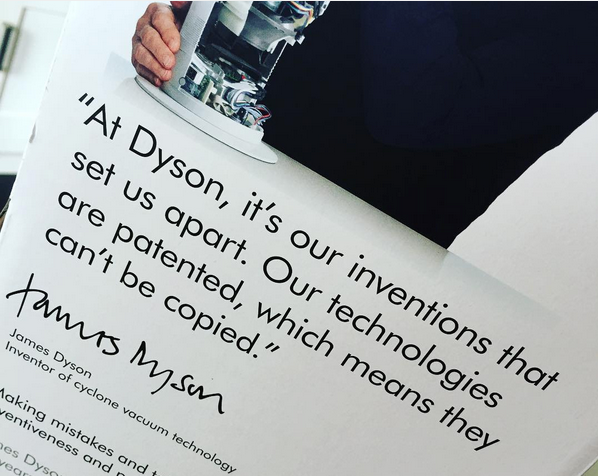 Examples: Going back to Dyson, they keep the focus on the product â€“ itâ€™s the be all and end all. Their personality is all about being exceedingly clever and inventive in a way thatâ€™s grounded in real life insight. Itâ€™s why you feel safe buying their brand, because theyâ€™re so clever. With that â€˜clever inventiveâ€™ personality trait as direction, it makes decisions about what to put on packaging easy: Dyson make the point that they patent everything they do because itâ€™s so advanced. Itâ€™s never been done, and so they canâ€™t be copied. Itâ€™s why you get directional balls that go round corners easily, and unique looking fans with no finger slicing blades. Hopefully you can see why some of the basic questions around your customers are so vital to help you judge how to steer your brand thinking. You can also hopefully start to see how these branding decisions drive so much of your marketing activity and decision-making. This scratches the surface, and more detailed thinking and planning can be hard. Being your own judge with an ability to push your brand into new, stronger directions is difficult. Objective expertise can really help get the right result (and save on your thinking time too). The rewards of that thinking time are massive, so get thinking, get help if you need it. 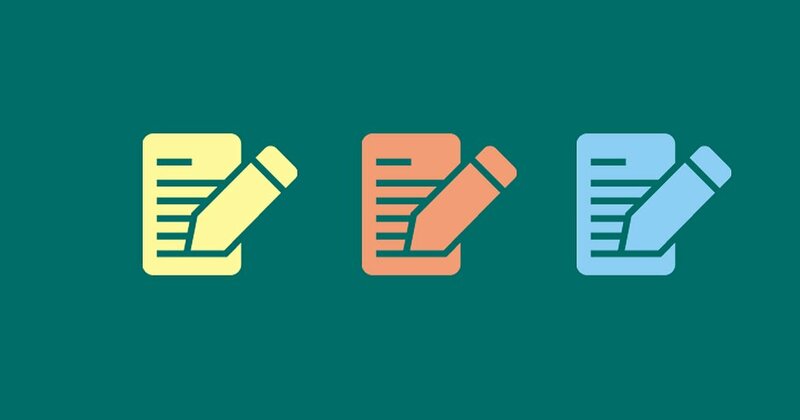 Writing, managing and maintaining a well-read blog could be one of your biggest and best business assets. But how do you get that engagement?Â How do you create a conversation with your audience and woo them into giving you their thoughts, opinions and experiences? 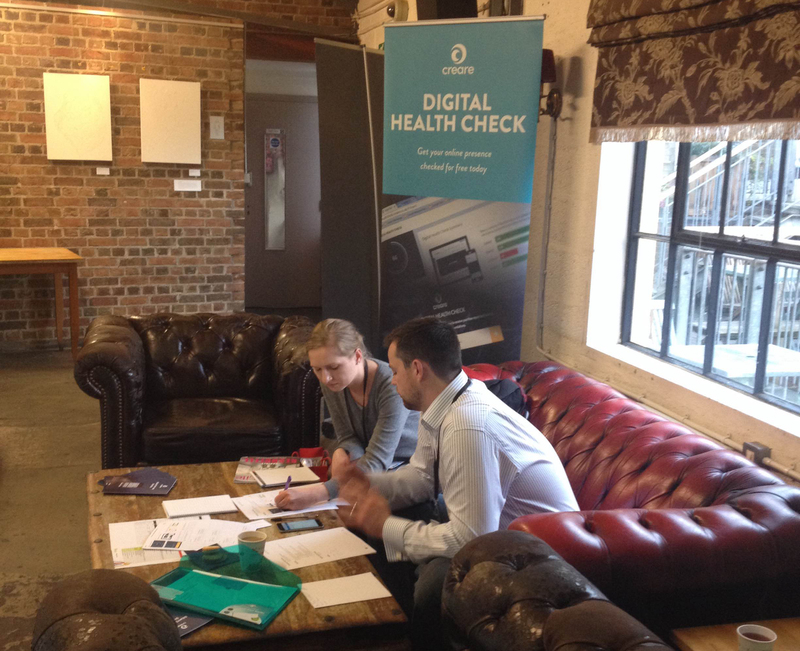 Creare launches digital health check tool, helping SMEs to understand their digital presence and take action. Today, Creare, one of the UKâ€™s leading digital marketing agencies for small and medium businesses launched a brand new online tool for small and medium business at their Digital Demystified event in London; Creareâ€™s Digital Health Check. Creare believes that in order to flourish, our industry must remove the mystique of digital marketing and provide small and medium businesses with solutions that are simple to embrace and delivered with complete transparency. For the first time, a tool of this kind has been designed specifically for the business owner or manager to use and take action on. Non techie, no jargon, simple yet comprehensive results detailing the performance of a businessâ€™ existing digital presence, with tips and advice on where to focus and how to improve, such as testing whether a businessâ€™ website is mobile friendly. 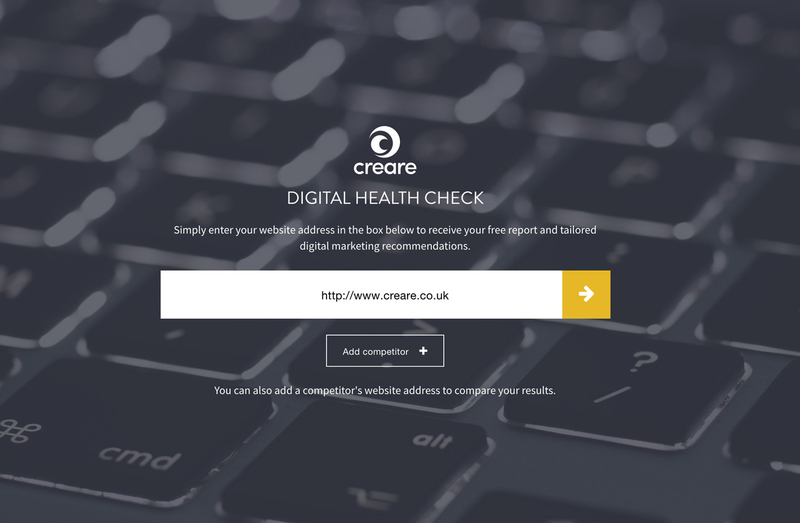 Creareâ€™s Digital Health Check tool also features an innovative search marketing planning tool, helping the user discover the opportunity to embrace digital marketing. By simply inputting an industry type, location and market reach, the user is presented with the volume of searches, seasonal trends and an assessment of how competitive their market is. Creareâ€™s Digital Health Check puts the power into the hands of the business owner. Creare provides the Digital Health Check free for all to use, whether you are a Creare client, or any business looking to improve your online presence. The user will receive a free report detailing any recommendations on how to improve, plus information on how Creare can support them in achieving their ambitions online through our range of digital marketing solutions. A media briefing pack on the Digital Health Check can be downloaded at www.creare.co.uk/media complete with further information, images and quotes. Itâ€™s no surprise that social media is becoming a crucial, and often a primary, way for businesses to engage with their customers. Itâ€™s quick, easy and direct and when managed properly, can be a great asset for businesses. There is no longer room to negotiate on whether or not businesses should be using social media, and particularly, whether they should be utilising it for customer service â€“ it appears to be a given. A lack of â€œownership and and understandingâ€ of social media could â€œsee brands fall behind in the overall customer service stakesâ€ according to Forrester. Research by Forrester and Conversocial found that although the number of customers using Twitter for customer service doubled to 22% between 2009 and 2012, users still rate the overall customer service experience via phone, websites, emails and IM/SMS rather than through social channels such as Twitter and Facebook, as a result of poor social media management. The growing popularity and ubiquity of social media channels means that businesses have a great opportunity to respond to, and engage with, customers in real-time. Itâ€™s no longer acceptable to simply use social to listen to your customers – businesses need a strategy to ensure theyâ€™re keeping up with the customer service revolution and effectively using social media to drive satisfaction and loyalty. 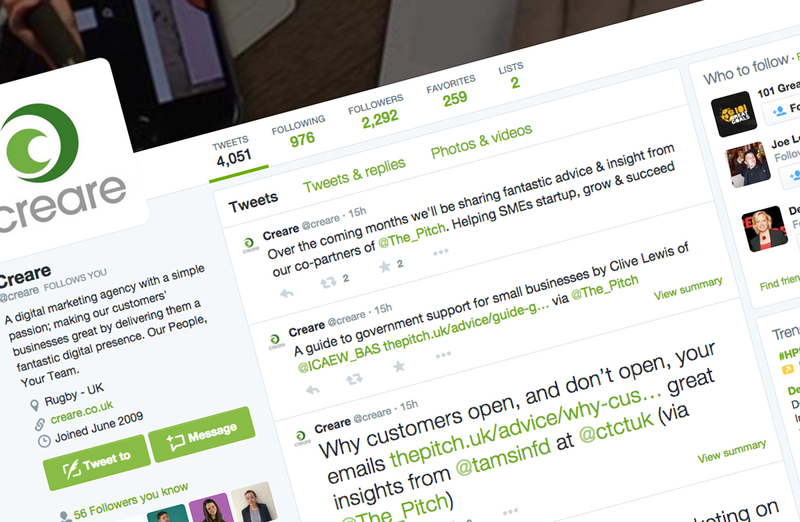 So how can you use Twitter for effective customer service? Social media is immediate and public: one bad experience left unmanaged can cause a ripple throughout the social space. 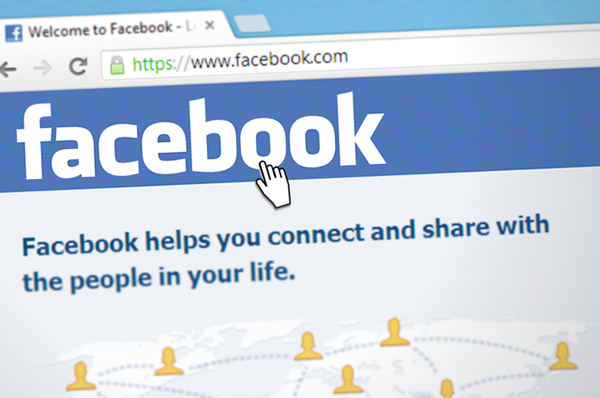 Neglect social and you could be neglecting your brand. Research from The Social Habit highlighted that todayâ€™s connected consumers expects a swift response, with 42% expecting a response within 60 minutes and 32% expecting one within 30 minutes! However in reality, customers are often left waiting. 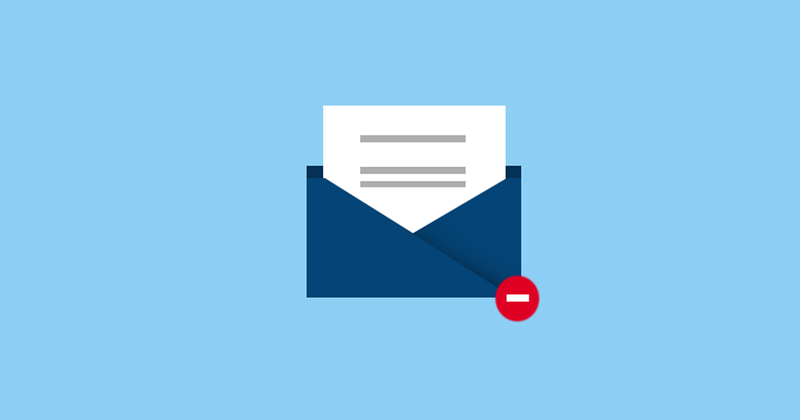 Research by BDRC Continental found that some brands are keeping customers hanging on for up to 19 hours for a reply. Customers often turn to social media because the business has already failed to satisfy their needs, leaving them waiting will either see increased dissatisfaction or a lost customer. Managing your customer service effectively also means managing customer expectations – and they expect a speedy response! Take inspiration from the greats (and the not-so-greats)! Social media triumphs and blunders are everywhere – a quick Google search will bring up a whole host of social successes and fails. Although itâ€™s proof that even the giants of the business world can get it wrong, itâ€™s a great chance to learn from their mistakes. For example, Zara, came up against considerable online criticism towards the end of last year following a series of mistakes. First came the fashion blunder (a babyâ€™s pyjama top that has been likened to clothes worn by Jewish concentration camp prisoners) and then came the awful example of customer service. Instead of turning to Twitter in order to rectify the issue in a personalised and thoughtful way, they responded to each tweet with exactly the same response. On one hand this could ensure a timely response, but it that really all customers are looking for? Ultimately, customers are looking for honest, helpful, and friendly engagement. Each tweet, whether good or bad, is an opportunity to develop a real relationship with the user, which could turn a complaint into custom or a customer into a brand advocate. Customer service itself hasnâ€™t changed – just the way in which itâ€™s managed. Take to Twitter to listen to, understand and care for your customers and youâ€™re well on the way to customer service success!